Address: 512 - 514 Grand River Avenue. 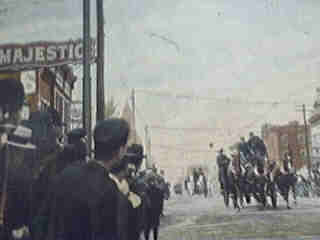 I had relatives living in Port Huron whom I often visited in the 1940s. 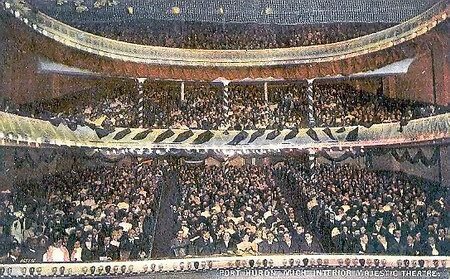 I always went to a show, usually to the Pine Grove, sometimes to the Majestic. I had been told--and saw it proved several times--that bats could be seen fluttering across the light of the Majestics screen during any evening show. It was torn down in 1959, however, it wasnt turned into a parking lot until 1974. 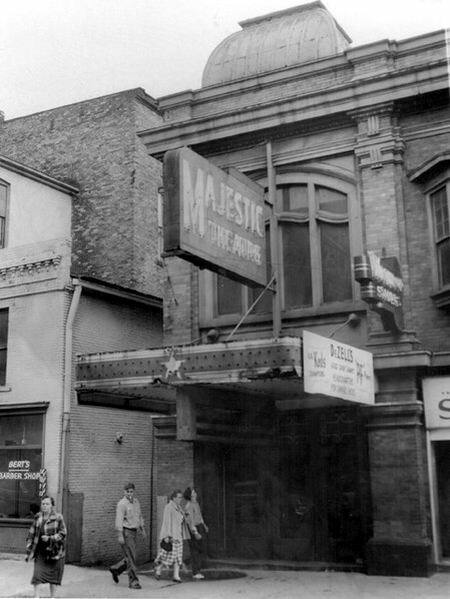 Actually, The Majestic was slowly gutted and torn down from fall of 1958 to March of 1959. It closed in May, 1952 due to lousy management and dwindling patronage. You see, the Majestic was built for live theatre and shows, not for motion pictures. It never successfully adapted to movies. It opened April 7, 1906 and did live theatre until February, 1921 when the lousy management took over and started showing movies. In 1936, it was remodeled and the third floor balcony was taken out and the grand ceiling was lowered by 15 feet to conserve on heat. It sat 1,500 people until then. I dont know the exact numerical address, but it was on Grand River Avenue, Port Huron. They did tear it down to become a parking lot. The lot seats about 50 cars and the city appropriately named the it The Majestic Parking Lot. This marvel was torn down in the 1970s to create another parking lot for the McMorran Theater.